My interest in Michael Landau was piqued by the observation that in his teenage years he’d toured with Robben Ford. 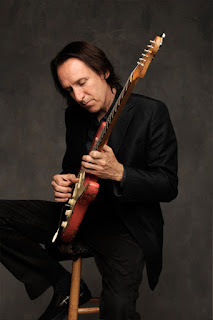 The latter is renowned for his guitar wizardry, often exercised in jazz rock territory. 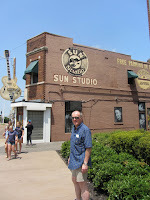 But Ford's 2015 album Into The Sun also demonstrated a commitment to top quality songwriting that stretched the blues genre. So could Californian Landau match up to the guitar playing and songwriting talents of his old mentor, I wondered? The answer to both questions is no - but then that would be a tall order. comes across, albeit in an understated way. On the dreamy ‘We All Feel The Same’ for example, a relatively straightforward slow blues which is one of the album’s most successful offerings, the brief flashes of wah-wah are just the cream on the delicate cake. The similarly slow ‘One Tear Away’ also works on a guitaring level, with intelligent, exploratory soloing in a Ford vein, in a sparse arrangement with faint washes of discordant organ from Larry Golding, and Jim Morrison-like crooning from David Frazee. ‘Poor Dear’ offers warped and bent notes in a Hendrixy style. But this time in a more energetic, quirky framework, with bursts of guitar from odd angles over jazzy drumming from Alan Hertz, and a likeable, catchy chorus. These tracks also happen to be the strongest examples of songcraft. Elsewhere the tendency is overmuch towards tricksy rhythms and/or minimalist atmospherics for my taste, though bright spots emerge here and there. ‘We’re All Alright’ has more drive to its chorus, and an offbeat air suggestive of White Denim. And ‘Heaven In The Alley’ is more melodic than some of the other subdued fare, with Landau sprinkling some nimble guitar runs throughout. If you’re up for some jazzy late 60s style experimentation then Rock Bottom is worth exploring. Me, I’d like a bit more oomph to proceedings. Rock Bottom is released by Provogue on 23 February.